Rabbi Eisen will present a shiur on “Yom Yerushalayim: “Jerusalem is Forever: Reflections upon Jerusalem’s Encapsulating the Odyssey of the People of Israel and of the Whole World”. 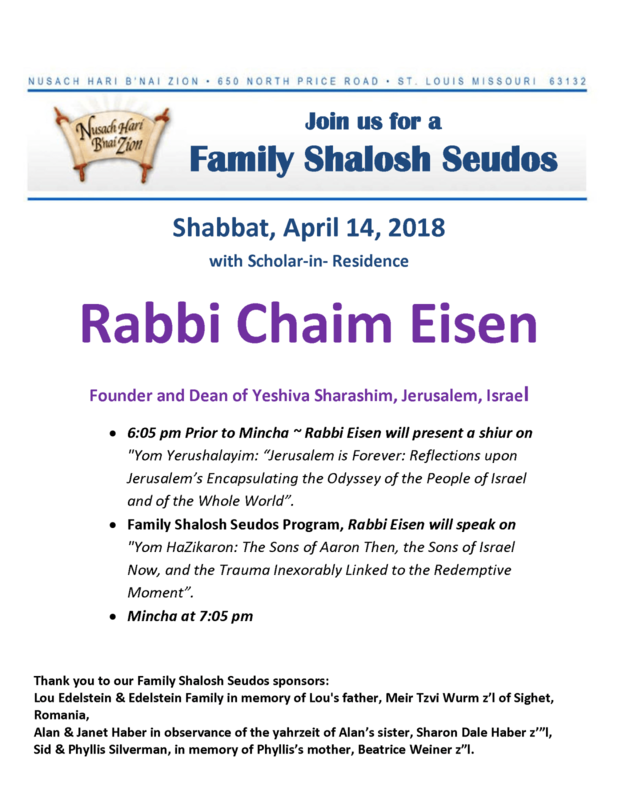 Family Shalosh Seudos Program, Rabbi Eisen will speak on “Yom HaZikaron: The Sons of Aaron Then, the Sons of Israel Now, and the Trauma Inexorably Linked to the Redemptive Moment”. Sid & Phyllis Silverman, in memory of Phyllis’s mother, Beatrice Weiner z”l.